WASHINGTON (Sputnik) - Earlier in January, US Secretary of State Mike Pompeo warned that if Tehran went ahead with plans to carry out space launches in the coming months, Iran would face more economic and diplomatic pressure. Iran's failed attempt to launch a satellite into orbit with a three stage rocket demonstrates the Islamic Republic’s intent to develop missiles able to reach as far as Europe, Mike Pompeo said in a statement on Tuesday. — Secretary Pompeo (@SecPompeo) 15 января 2019 г. 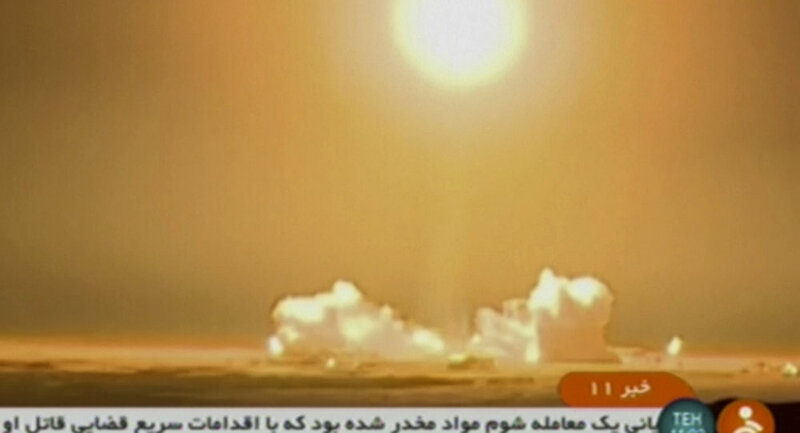 Earlier in the day, Iran attempted to launch a satellite into orbit but the rocket's third stage failed to provide enough speed to reach the orbit, Iranian Information and Communications Technology Minister Mohammad Javad Azari Jahromi said. Iran plans a second satellite launch in the coming days in what the nation claims is a space exploration programme, while claiming that rocket launches do not violate a Security Council resolution, related to the country's nuclear programme. Iranian Foreign Minister Mohammad Javad Zarif has insisted that the country's space programme does not violate the aforementioned resolution. Iran has recently made significant progress in its space programme with the launch of its Simorgh Satellite Launch Vehicle in July 2017. The United States, the United Kingdom, Germany and France in a joint statement condemned the launch, saying it contravened UN Security Council Resolution 2231. Unanimously adopted on 20 July 2015, United Nations Security Council Resolution 2231 endorsed the international nuclear deal, formally called the Joint Comprehensive Plan of Action (JCPOA). The resolution laid out a plan for removing the UN sanctions on Iran in exchange for strict monitoring of its nuclear programme, which the country insists is peaceful. The United States withdrew from the JCPOA in May 2018, and Tehran has since accused Washington of violating the UNSC resolution. Iran has also denied that its missile programme violates the resolution. Washington, for its part, has reimposed sanctions against Tehran that had been lifted under the JCPOA. The first package of US restrictions came into force in August. 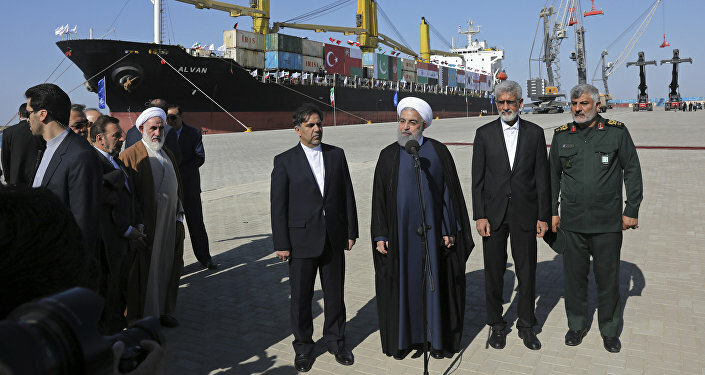 In early November, Washington imposed new sanctions targeting core sectors of Iran's economy. Following last year's ministerial meeting on the sidelines of the UN General Assembly, the United Kingdom, Germany, France, China, Russia, and Iran announced that the European Union would establish a financial mechanism, known as a Special Purpose Vehicle (SPV), to enable trade with Tehran, bypassing the Trump administration's reimposed restrictions. Last week, Mike Pompeo said Washington was planning to tighten sanctions on Iran. However, Pompeo stressed the United States was ready to "open a new chapter" in relations with the Islamic Republic once it meets the 12 demands that the secretary outlined during an address in May. Those demands include allowing unlimited international inspections of Iran's nuclear programme, halting Tehran's support for Hezbollah and other militant groups in the region, withdrawing all Iranian military forces from Syria, and releasing all US citizens being detained in the Islamic Republic, among other things. Tehran, for its part, has responded to those demands by listing its own to European states.